While impressions of last Nobel award ceremony are still fresh, read our list of 6 Nobel Prize winners who declined the prize, and discover some interesting facts – why did Sartre reject the award? Did German Nobel laureates in chemistry cooperate with Nazi government? What did Pasternak write in the letter to Premier Khrushchev after declining the award? To which extent did CIA participate in the popularization of Doctor Zhivago, the book that brought Pasternak Nobel Prize in Literature? Why did Gerhard Domagk give his daughter medicine for which discovery he got Nobel award despite the fact that it wasn’t previously tested on humans? 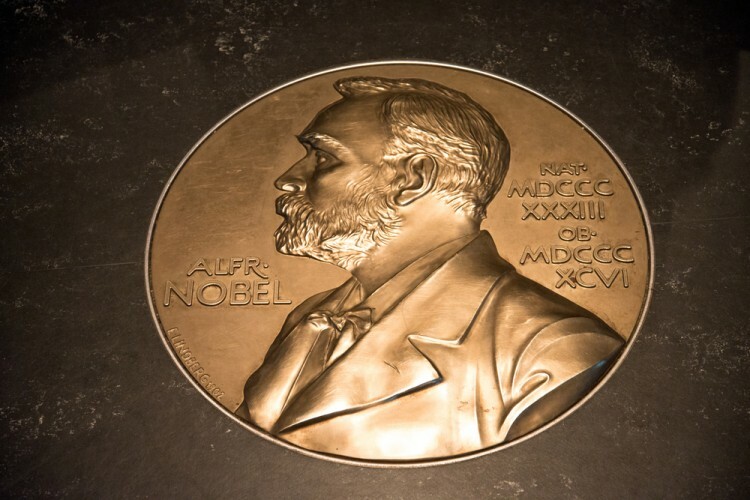 Since 1901 Nobel Prize has been awarded for Physics, Chemistry, Physiology/ Medicine, Literature, Peace and Economics. Until now 573 prizes have been given to 900 individuals and organizations, and among them some received the award more than once, for instance, International Committee of the Red Cross received three Nobel Prizes for Peace. In its hundred and fourteen years’ long history, Nobel Prize hasn’t been awarded forty-nine times, mainly because of world wars. Nobel laureates have been people who have not only shaped the world of science and literature, but also directly influenced lives of ordinary people. Throughout decades, the most prestigious award has brought money and recognition to its receivers and secured laureates’ places in history. But as biographies of Nobel winners testify, the road to success is paved with obstacles. Sometimes obstacles become part of the person’s identity, as our list of 10 Majorly Successful People with Disabilities shows, and sometimes they come from outside, as in the case of people who were compelled to decline the Nobel award. The list of 6 Nobel Prize winners who declined the prize presents you two men who rejected the prize willingly, and other four who were forced to do so by Nazi and Soviet authorities. 10 Majorly Successful People with Disabilities 6 Nobel Prize Winners who Declined the Prize Adolf Butenandt Boris Leonidovich Pasternak Did German Nobel laureates in chemistry cooperate with Nazi government? Doctor Zhivago Cia Doctor Zhivago Nobel prize Gerhard Domagk Jean-Paul Sartre Le Duc Tho Nazi chemist nobel prize antibiotics nobel prize hormones Nobel prize Vietnamese winners Nobel prize vitamins Otto Meyerhof Pasternak Nobel prize Richard Kuhn Slideshow To which extent did CIA participate in popularization of Doctor Zhivago? What did Pasternak write in the letter to Premier Khrushchev after declining the award? who declined Nobel Peace Prize who declined Nobel Prize Why did Sartre declined the Nobel why did Sartre reject the award?